Well you can on the morning of the 28th September and support Macmillan to boot! 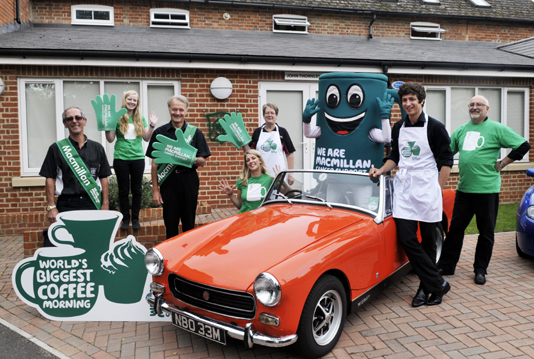 Macmillan Cancer Support is the MG Car Club’s chosen charity which enables them to reach out to the MG community in an array of different ways. Cancer is the toughest fight most of us will ever face. If you or a loved one has been diagnosed, you need a team of people in your corner supporting you every step of the way. 1 in 3 people will be diagnosed with cancer at some point in their life. If you or a loved one has been diagnosed with cancer you will want experts helping support you along the way. Macmillan Cancer Support help provide practical, medical and financial support to you and or your family when it is most needed. The MGCC is for all MG Owners and was formed in 1930 by Cecil Kimber. It is a not-for-profit organisation, based in Abingdon and catering for models of MG. With a worldwide membership of over 35,000 the MGCC has the experience and know-how to help owners get the most from their MGs.